Post by Lizzy Hare, sociocultural PhD student at the University of California, Santa Cruz. Her dissertation research is on the contributions of paleosciences to the development of forecast models that could be used for policy and management. PalEON is one component of her dissertation. As an anthropologist of science, my goal is to try to discourage obsolete and idealized views of science through the development of more open and realistic accounts. My training is in cultural anthropology, a sub-discipline that has traditionally worked through the medium of ethnography â€“ descriptive accounts of the customs and practices of people and cultures. In my research, I am learning about the process of producing scientific knowledge about climate change adaptation so that I may write about this for a general audience. I hope to share the daily practices, the complexities, the passions, the concerns, as well as the monotony, the frustration and the many absolutely mundane decisions that go on â€œbehind the scenesâ€ of knowledge production, so that we can move beyond idealized understandings of science that have caused political trouble around issues pertaining to climate change adaptation. There is a great body of information that could aid policymakers and land managers in developing climate change adaptation strategies, but the political climate is such that the issue is avoided, as if ignoring it will make it go away, or is discussed obliquely, as in Florida governor Rick Scott’s recent efforts to begin to address the consequences of climate change without mentioning its causes. Part of the problem is declining trust in science by those who identify as politically conservative or moderate (Gauchat 2012). 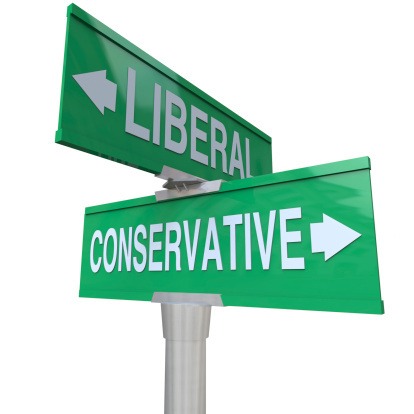 But thinking of the issue as simply a matter of conservatives versus liberals is a gross oversimplification. This is a part of the same cultural phenomenon that has led educated, high-income (and generally politically liberal) mothers to opt out of childhood vaccination schedules (Reich 2014). Both climate change skeptics and anti-vaxxers eschew scientific consensus, favoring instead the right to individual freedom to weigh evidence and make independent decisions. Adherents of this position see their method of knowledge acquisition (through shared first-hand accounts, anecdotal evidence, and sometimes even religious texts) to be equivalent to that produced in mainstream science. Further, because it has become such a politically contentious topic, the polemics on both sides can make it difficult to take seriously those with dissenting opinions. Politicians with largely anti-science constituencies, such as Senator Coburn, have found it politically advantageous to scrutinize science in general and the NSF in particular, and the findings of his report were mocked in the conservative-serving media. On the other side of the spectrum, Michael Mann’s pugnacious and often condescending public persona demonstrates an utter disinterest in the reasons why people choose not to follow science. Anthropologist of science, Myanna Lahsen and self-described conservative journalist Pascal-Emmanuel Gobry have written about how the public’s idealized perception of science contributes to the contention. According to Lahsen (2013) and Gobry, the public generally believes that science should be an objective broker of truth, independent of culture and politics. Members of the public are thus understandably confused, frustrated, and skeptical when scientific findings emphasize uncertainty or change from year to year or get involved in heated political debates. After all, if they are brokering in absolute Truth, a scientific finding would be the final word on a matter. Lahsen, following anthropologist Christopher Tourney (1996) calls the belief in an idealized science “scientific fundamentalism”. Gobry simply and more bluntly calls it a “botched” understanding of science. Whether you see the idealized understanding of science as fundamentalist or flawed is relatively inconsequential. Of more immediate concern are the unrealistic expectations that these idealized understandings place on scientific findings. Not only do they discount the tremendous amount of work that goes into continually adjusting, refining, and occasionally revolutionizing scientific knowledge, but they also set up an expectation that science should be wholly without cultural or political influence. This is something that science simply cannot do. Lahsen (2013) shows how unrealistic expectations of science made the Climategate controversy more problematic than it ought to have been, because the “troubling” material that the hackers found in the Climatic Research Unit’s emails can only be considered problematic if there is an a priori assumption that science does not include making subjective decisions about data, analysis, and findings. 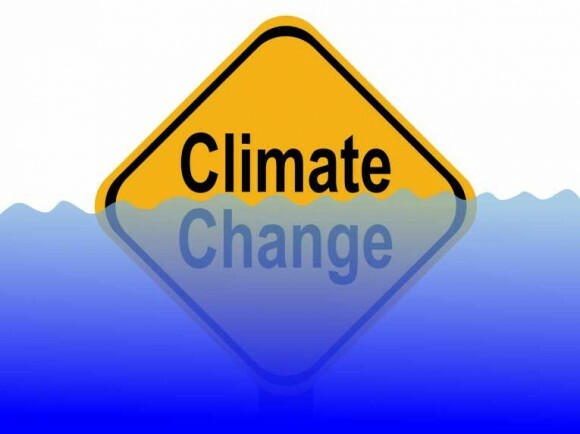 Following Climategate, contrarian interpretations of climate change gained support in the United States, because it produced evidence that mainstream science is “flawed” by politics and therefore cannot produce Truth (capital T). If this is the case, so the logic goes, then other politically-motivated interpretations of science must be equally valid. (A great example of this kind of interpretative symmetry can be found in the Heartland Institute’s response to the article by Jank³ et al. (2014) that PalEON member Simon Goring described in his blog posts here). To try to put an end to this argument, the belief that science is a perfect, objective, apolitical, knowledge-producing machine needs to be laid to rest. In place of that narrative we need one that explains the awesome, dynamic complexity of science in practice. There is absolutely no reason for why we need to exaggerate or make science appear magical, the history of science is truly impressive. After all, science has made possible unprecedented advances in knowledge, technology and quality of life. Gauchat, G. (2012). Politicization of Science in the Public Sphere: A Study of Public Trust in the United States, 1974-2010. American Sociological Review 77(2):167-187. Lahsen, M. (2013). Climategate: The role of the Social Sciences. Climatic Change 119:547-558. Reich, J. (2014). Neoliberal Mothering and Vaccine Refusal: Imagined Gated Communities and the Privilege of Choice. Gender & Society 28(5):679-704. Tourney, C. (1996). Conjuring Science: Scientific Symbols and Cultural Meanings in American Life. Rutgers University Press: New Brunswick. This entry was posted in Outreach by Jody. Bookmark the permalink.